One of the standout moments in the long-awaited Game of Thrones Season 8 premiere was the Umber Boy’s death. Here is a quick recap about Ned Umber and what GoT had in mind with that gruesome scene. Who is the Umber Boy? He is Lord Ned Umber, a minor character and son Lord Jon Umber — the head of House Umber. Jon Umber died in the Battle of the Bastards thus leaving his young son as the new lord of House Umber. A loyal friend of the Starks, Jon also endorsed Robb Stark’s kingship and fought alongside the late Stark. The Umber Boy, like his father, is loyal to the Stark family. In the premiere of Game of Thrones Season 8, Umber tells Sansa that he needs more horses and wagons for his men to fight in the upcoming battle. Ned Umber, presumably named after Ned Stark, is sent to his home the Last Hearth after Sansa grants his wish — but he never returns. White Walker Spiral Symbol: Why did they kill Ned Umber? Ned Umber was captured by the White Walkers and his brutal death served as a warning from the Night King. His dead body and limbs of some of his men create a spiral symbol. 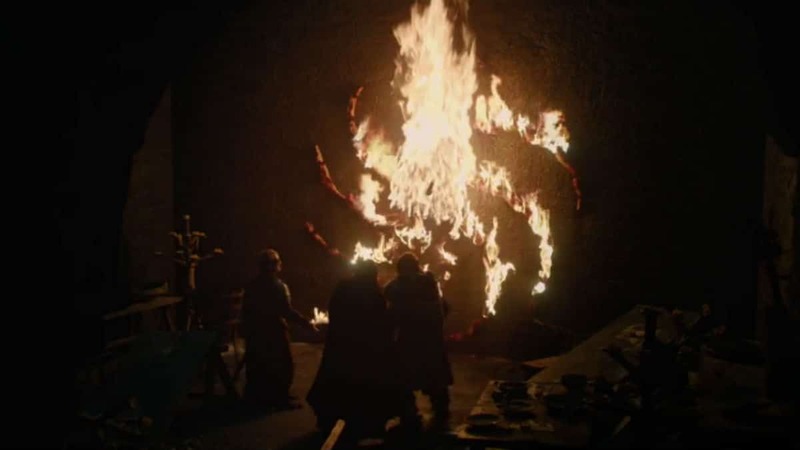 The seven limbs of the spiral may signify the Night King’s ambition to crush all seven kingdoms. Tormund, Beric Dolorous Edd and the survivors of the Night’s Watch find the Umber Boy’s body at Last Heath. The boy turns into a wight and attempts to attack an unsuspecting Tormund before being torched by Beric’s flaming sword. Ned Umber’s death is a warning that the Army of the Dead is coming. The teaser for the next episode of Game of Thrones reveals that Tormund warns Jon Snow and Winterfell that the Night King and his army are closing in thus giving them time to prepare for battle.